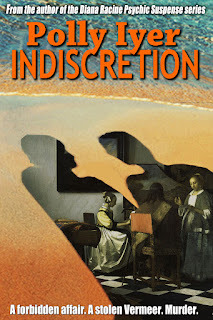 Last July, I submitted my book, Indiscretion, to Amazon’s Kindle Scout program. Paraphrased from their website: Kindle Scout is reader-powered publishing for new, never-before-published books. It’s a place where readers help decide if a book gets published. Selected books will be published by Kindle Press and receive 5-year renewable terms, a $1,500 advance, 50% eBook royalty rate, easy rights reversions and featured Amazon marketing. If you do not earn at least $25,000 during any 5-year term, you'll have six months after the end of that 5-year period in which you can choose to stop publishing with Kindle Press and request your rights back. Same if you haven’t made $500 in royalties in a two-year period. Amazon’s criteria are for authors to submit their professionally edited books with a well-designed cover, short blurb, and catchy tag line. The Scout people take a few days to look it over, then, if accepted, you have thirty days to do everything in your power to keep your book in the “Hot and Trending” column. That means promoting on Facebook, Twitter, and every other venue you can utilize to get people to nominate your book. In turn, they will receive a free copy if it's selected for publication. It also means begging, um, I mean suggesting to friends, other writers, and strangers to vote, um, I mean nominate your book. After the thirty nerve-wracking days and a few more while Kindle Press decided if my book passed muster, Indiscretion was selected and benefited from an excellent Amazon edit. I didn’t have as many hours of “Hot and Trending” as some others, but I had lots of page views, which showed an interest in my story. My body of work and reviews may have contributed to Amazon’s choice of selecting Indiscretion, but what Amazon does and how they do it remains a closely guarded secret. My book went on sale September 1, 2015. How is it working out for me? I’ve made my $500, but I haven’t done nearly as well as some of my Scout colleagues. I also didn’t get any specific promotion that I know of until the fifth month, whereas most Scout winners got promos long before. What does that mean? Not enough reviews? Probably. Though many readers have told me they loved the book, they didn't leave a review. (Writers, especially, should know how important reviews are to other writers. I review every four and five star book I read.) Not enough sales? My guess. But sales are closely related to marketing, and if you don’t receive any Amazon promotions, everything relies on the writer: me. I've done my best within the parameters that fall short of spamming, but more Amazon marketing in this day of author/book over-saturation would sure help to get my book noticed. There was no rotation of the front-loaded books to give other books a coveted position during the whole month. What constitutes Amazon marketing? There are different types of promotions. Some books are priced lower and targeted to Kindle Fire owners or other specific groups for a short period of time. These promos seem to get a book sales fast, which in turn shoots the book’s rankings to low numbers. Some specially priced promos, usually at $1.99, are month-long and featured on sale pages. That’s the promo I got. First, my book’s categories were Mystery, Thriller & Suspense/Crime Fiction/Heist, which it definitely is since the story incorporates details of the 1990 Isabella Stewart Gardner Museum theft of thirteen works of art, and a sub-genre of International Mystery and Crime. I’m still trying to figure out the International part other than one of my main protagonists stole diamonds overseas. As far as location, the book takes place in South Carolina and Boston. So not international in setting. Was my book featured? The closest Indiscretion got to the front of the featured books on the monthly promo was on page ten of twenty, behind Amazon’s imprints and more well-known authors. Indiscretion showed up on an early page if a reader sorted by "average customer review" because my book had a 4.9 rating. I know Indiscretion went out in mailers, but all my books have over the years. How many times and to whom, I have no idea, but I saw no decrease in my rankings or increase in my sales during the first four months other than normal purchase numbers. What do I think? I’m grateful Amazon chose my book to be a Kindle Scout winner, which is validation that the book has potential in Amazon’s opinion. I know Scout has been a miraculous boon for many of the winners, and they’ve hit bestseller status. I’m thrilled for all of them because they’re a fun group of talented writers. 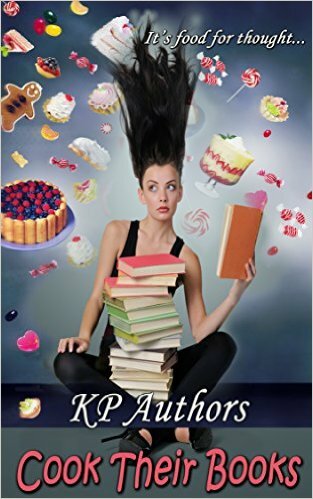 We even have a cookbook of recipes from our Scout winning books, free on Amazon: KP Authors Cook Their Books. I also know it takes a while for some books to hit their stride. I’m a patient person, but I honestly thought the “featured Amazon marketing” would be more equally distributed, which so far hasn’t been the case for me and a few others. I have a sequel to Indiscretion in the works. Will I go through the process again or publish it myself like I’ve done with ten other books? If the latter, I will have the option to lower the price or make it free for promos when I want to stimulate sales, which in turn would hopefully stimulate the sales of Indiscretion. I’m nowhere near finished with book two, so I have time to see how book one does during the next few months before I make my decision. Meanwhile, back to writing. I shy away from reviewing books of friends because I state my relationship to the author when I do post a review. I want to be honest with readers, but in some way I can't help but think the readers will discount my review due to that relationship. As you know, I try to make up for it by reading books and interviewing authors whose books I like. Indiscretion is a wonderful read, Polly. I wish you had received more support from Kindle. Because I didn't buy the book, I can't tell you how Indiscretion would have been marketed to me. I know when I buy other authors' books, other books by the author show up on my "Recommended" book list when I go to the Kindle store. In fact, some of the authors I wish I hadn't bought appear more frequently than those I loved. I think the cheapest price points are often marketed the most frequently, which isn't always my greatest factor in buying a book. Bad or poorly edited books aren't a bargain. Thanks, Elaine. 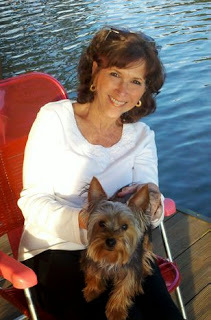 You have always supported me and other writers on your wonderful blog, Writers Who Kill. I appreciate all you do for us. Hey, congrats on being a Kindle Scout winner, Polly ... whatever the results. Money isn't everything ... right? Right? It's not about the money, Christopher. Money's good :-) But I agree with Christopher-congratulations. Chalk it up to another interesting experience. A couple of scout authors I know didn't get much effective promo, so I think it's not that unusual. Still, you're on more people's radars, and that's always a good thing. Thanks, DV. Yes, an interesting experience that I'm not at all sorry I did. Thank you for sharing your story. I had not investigated the Scout program. These days you must be your own publicist. It is an entirely new skill set and gathering multiple resources the average writer does not have. Some authors excel at this. Writers in the same genre who band together have a better success rate. At least you can get your rights back before Book 2 goes live. I really don't want my rights back, Diana. I'll leave it with KP for the full term, long after Book 2 goes live. I'm writing a new-to-me genre of psychological thriller and considering sending it to Scout but the marketing seems thin. Just finishing Indiscretion and loving it, publishing my review later today! Thanks, Michele. I wouldn't discourage anyone from trying the Scout campaign. Go for it if you think it's something you'd benefit from. Many have and I still have hopes. All of life is a crap shoot. Some rolls of the dice turn out better than others. That was my initial reason for going with Kindle Scout. It was new. It was different. And if it was to be groundbreaking, I wanted to be in on the ground floor. As Polly outlined so well in her blog, several Kindle Scout books raised the roof with sales, some were better than average with sales, some not so good. I've now been published through Kindle Scout (as Rigel Carson in near-future fiction) for a year now, and they are still doing promotions for my KS title, G-1. Am I one of the stratosphere authors? Not yet, but it could still happen. I do write fiction, you know. As I said above, Maggie, I haven't given up that I'll still have better results with Scout. There's plenty of time, and the point of my blog was my experience to this point. I don't regret a thing. Your point of view is always valuable. Thanks. Interesting and balanced post, Polly. The ways of Amazon are nothing if not mysterious. Why one Kindle Scout book would be promoted heavily and another not is anyone’s guess. Recently, I’ve received a number of requests for Kindle Scout nomination support, usually from authors I don’t know. Do you have any idea how many books are published through the program? I’m also curious whether Amazon considers Kindle Scout a success. Occasionally they brainstorm programs that seem to fade into near obscurity—Kindle Serials comes to mind. Yes, Viva, the mysterious ways of Amazon. Who ever knows? As of now, there are over 125 winners. Where it goes from here is anyone's guess. Certainly, if you think the book sounds interesting, you have nothing to lose by nominating it. In fact, you have the opportunity of getting a good book to read. Thanks for being a guinea pig and sharing your experience. I've never done anything that requires me to be exclusive, except once, with my short story collection. That wasn't a good book to use for my experiment! I always like to here how it's going with marketing methods. Polly, I'm puzzled why you didn't shoot to the top with the quality of your writing. Good luck with the next one! Thanks, Kaye. Things might still happen with Scout. I will keep a positive attitude. This was only my experience to date. Thank you for sharing your experiences, Polly. I'm considering Scout for my next novel, and it's fascinating to read about what the authors went through. You never know what's going to hit, I guess. Best of everything for the sequel! Laurie, You're right. One book flies to the top of the charts while another languishes. You should give it a try. I just shared my experience. Thank you for sharing your experience with Scout, Polly; and congratulations for being selected to participate in that program. One of the reasons I chose some 14 years ago to independently publish was control; I wanted to call the shots and didn't want to wait years to maybe find an agent and then a publisher. Was that wise? It hasn't sold many books. So after a decade and a half of doing virtually nothing to promote my works, I'm re-releasing the two that have been published, one with a new title and both with newly designed, eye-catching covers and updated interiors. This time, they will be promoted, but not likely by Scout. At my age, I can't seem to get overly excited about a 5-year program. However, I will be interested in how Indiscretion fares on its 5-year journey. Elaine, I heard from another writer that signed a book with Lake Union. They didn’t even want to look at her follow-up book when the paperback didn’t sell. As I mentioned, there are a lot of us out there, even more books--some good, some not so good. There really are no definitive answers. We just write and do the best we can to get our books noticed. It won't get any easier. A nice, well-balanced article on Kindle Scout. I sense the appeal is the $1500 advance, as many digital publishers pay no advance, not even Harlequin's Carina pays an advance. Quality editing cannot be overlooked. That is a plus. But I don't like the hustle to swing a KS contract. In my experience, a well-planned promotion on a unit often earns out far more--even though KS offers the 50% royalty. Great good luck with it. I won the book. Jackie, the $1500 was a very nice enticement, but being accepted by Amazon was an even greater draw. Would I repeat putting Indiscretion up for review again. Yes. It was a great experience and I met some talented people. Will I go through it again, unlikely. I'm glad you made the cut, Polly, but I wish you were get more out of your adventure! Thanks, Morgan. Yes, me too, but it was and is a worthwhile experience. Maybe I should have read your blog post before I submitted my book to Kindle Scout this afternoon. We had Stacy Cochran, who was one of the first group of authors selected for KS, as a speaker at our local Sisters in Crime chapter last month. He was very enthusiastic about being part of Kindle Scout. I think that's what pushed me over to submitting. But you're not the first KS author who hasn't gotten the exposure and success that you'd expect by being published with Amazon. I hope you have long term success not only with this book, but the rest of your books. Elise, Stacey is one of the success stories. I certainly wouldn't discourage anyone from trying out for a Scout campaign, and I don't regret one bit having my book accepted. There are stories on both sides. I just told about mine. Best of luck in your campaign. If you're accepted, you have a long month ahead. I'll help in any way I can. I'm a Scout winner, too, and though my first book started hot, it's dropping and KP doesn't seem to be do any marketing of it at all. Highly frustrating.